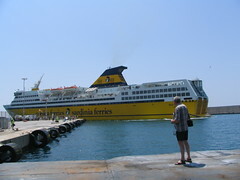 On my way to Corsica! 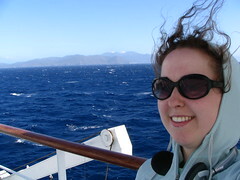 It was sooo windy on the ferry! It was an awesome, relaxing ride. I didn’t want to get off. 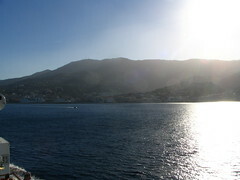 The mountains of Corsica scared me a little from the boat. 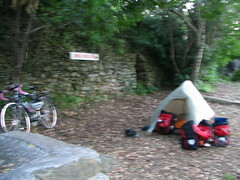 I found a campground and spent my first night EVER camping alone on the Cap of Corsica, near where I landed at Bastia. It was sooo windy but I felt really secure in my tent. Oh my God. I can’t believe this is happening to you. The pictures are fantastic, “bringing” me to you. What they say about a thousand words, is so very true. This is great, Heather. WOW!!!!!!!!!!!!!!!!!!!!!!!!!!!!!!!!!!!!! !